!!! No More Free SketchUp Make !!! You can still download SketchUp Make and install it (https://download.cnet.com/SketchUp-Make-2017/3000-6677_4-10257337.html), but it's now free for only 30 days. You can still access and use the web version of SketchUp for free (https://www.sketchup.com/plans-and-pricing#for-personal). But I don't think it's as useful as the previous downloadable versions. You can still use SketchUp. Aside from the 30-day free trial download version, there are a free web-only version and several paid options for using SketchUp. 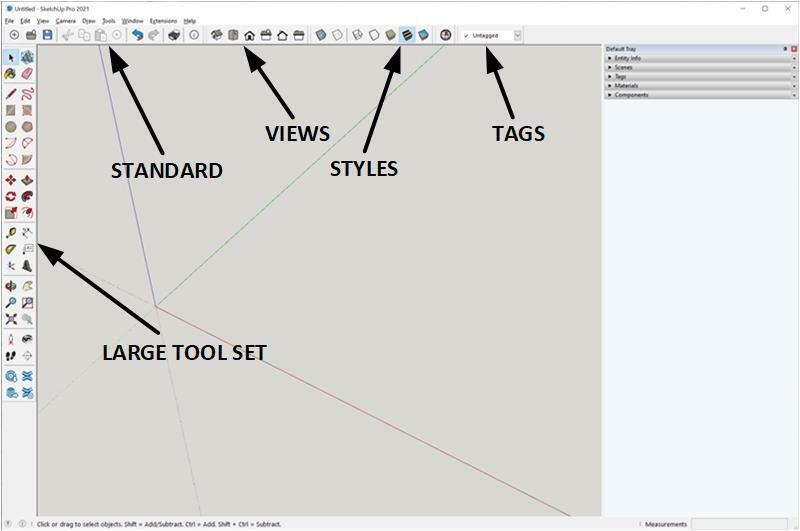 The SketchUp website presents these options in sets of threes as listed here. I prefer the desktop version of SketchUp, maybe because that's all I've used. The web version is too constricting in my opinion. So, I think the best options are Pro and Classic. The third choice would be Shop. But you might find that you're completely happy with the Free version. SketchUp is a powerful 3D modeling app that's easy to use. Despite the cost of its newest versions, I think SketchUp is still the best choice for designing and modeling woodworking projects. SketchUp is a powerful 3D modeling tool that you can get and use for free. This page provides references and links to make getting it and using it easy. When your woodworking expands beyond the simplest projects, SketchUp can become an indispensable tool. It makes the design clear so that you can tell if the design makes sense—or if it even looks good—before you build it. It keeps track of dimensions. It can show you when parts don’t fit correctly or interfere with each other. SketchUp has two built-in templates dedicated to woodworking. One template uses inches. The other uses millimeters. Just tell SketchUp what you want to use the first time you use it and you’re all set. You can change your choice at any time. SketchUp Isn’t Hard to Use! Learning to use SketchUp might seem daunting at first. After all, it looks very complicated when you open it for the first time. Don’t be fooled! It will quickly begin to make sense once you’ve had some of those things explained for you. This page points you to places that explain how to use SketchUp. Download and install SketchUp using one of the options cited in the "Some of Your Options" box, above. Much of the information that follows on this page applies only to the installed version of SketchUp. Once you’ve downloaded the installation file, double-click to install it. It should put an icon on your desktop. Double-click the SketchUp icon to start it. A welcome window will appear. Click the Choose Template button near the top-right of the window. A dialog will open. Scroll down to find Woodworking – Inches or Woodworking – Millimeters. If you’ve never used SketchUp before, this is the place where things might begin to seem overwhelming. Not to worry! Just follow along as described below. I'm going to explain how I like SketchUp to be set up. You might discover that you have different preferences. But start with what I explain here. This procedure will begin your exposure to the SketchUp environment. And it will arm you with the ability to select different preferences if you decide to do that later. Hover your mouse over Default Tray. If the items are not in the order shown, click and drag them up or down until they’re in this order. Click on the View menu again. Finally, SketchUp has many built-in keyboard shortcuts. They’re great time savers that you will want to use. But you’ll be glad to have 3 additional keyboard shortcuts. Here’s how to set them up. Click the Window menu and select Preferences. Select Shortcuts in the left window. Scroll down the Function window and select Edit/Hide. Scroll down the Function window and select Edit/Unhide/All. Enter “U” (without the quotes) into the Add Shortcut window and then click “+” next to that window. Scroll down the Function window and select Tools/Dimensions. Enter “D” (without the quotes) into the Add Shortcut window and then click “+” next to that window. Steps 11-12 arm you with the ability to hide an object by simply clicking on it and then pressing the X key. The shortcut lets you hide objects without opening the Edit menu to do it. Steps 13-14 arm you with the ability unhide all hidden items by simply pressing the U key. The shortcut lets you unhide all objects without opening the Edit menu to do it. Finally, steps 15-16 arm you with the ability to enable dimensioning by simply pressing the D key. You can avoid clicking on the Dimension icon in the Large Tool Set. These shortcuts might not make much sense right now but TRY TO REMEMBER THESE SHORTCUTS. Use them whenever possible to avoid going to a menu. They can make your SketchUp experience much simpler and more enjoyable. You are now ready to begin using SketchUp. If you find out later that you don’t like my preferred setup, the information provided above should give you enough knowledge to do things differently. So how is SketchUp used? Here are some references and links to get you started. MY STRONG RECOMMENDATION: Begin with the DVD with Dave Richards. Watch and listen to the entire DVD. Follow along through the step-by-step lessons. You will amass a set of important and useful SketchUp skills. It will equip you to do original woodworking designs. This page provides a foundation for getting, installing, and using free SketchUp Make in your woodworking projects. There is a lot of other information and tutorials available on the internet. 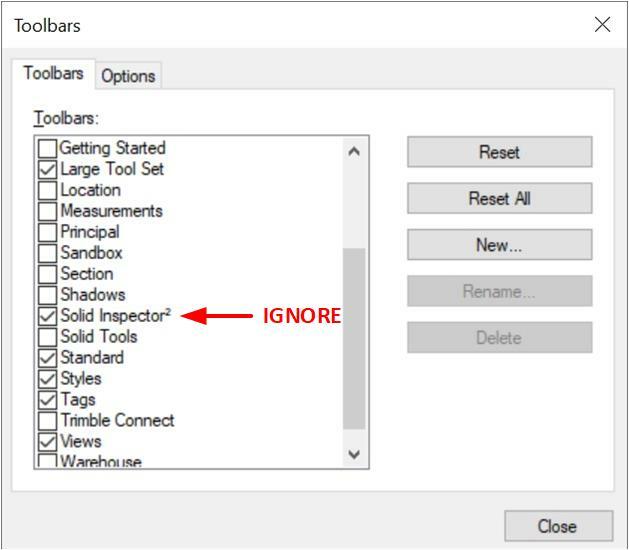 Be sure to search the internet and YouTube for more SketchUp hints and techniques. Also, be sure to visit my SketchUp ‘Cut List 4.1' Supplement page for an app that can help to make your SketchUp and woodworking experience even easier. Good luck, and keep on using SketchUp!